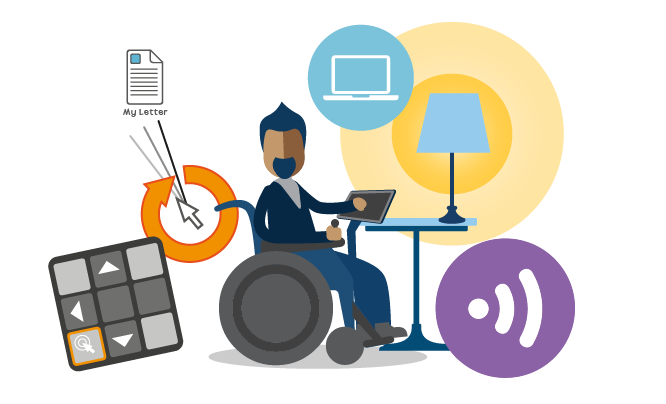 Whether at home, work or school, our devices enable you to overcome physical limitations and live as independently as possible. The Grid Pad Pro and Grid Pad Eye are built to control your environment, using radio and infared technology. Operate TV’s, Hi-fi units, DVD and Blu-ray players, sockets, alarms, doors, and windows. 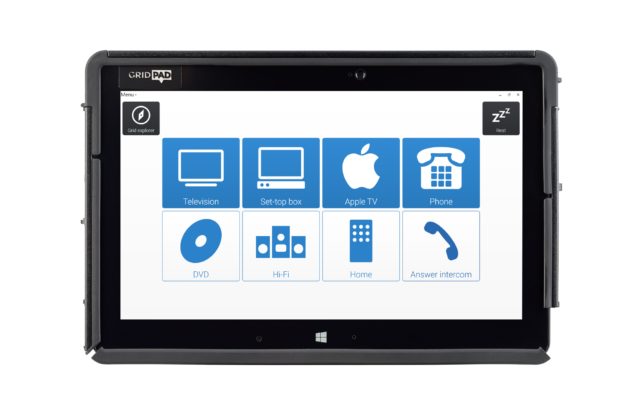 Grid 3 is ready to control your environment, with built in Servus grid sets and simple setup for all of your infrared devices. 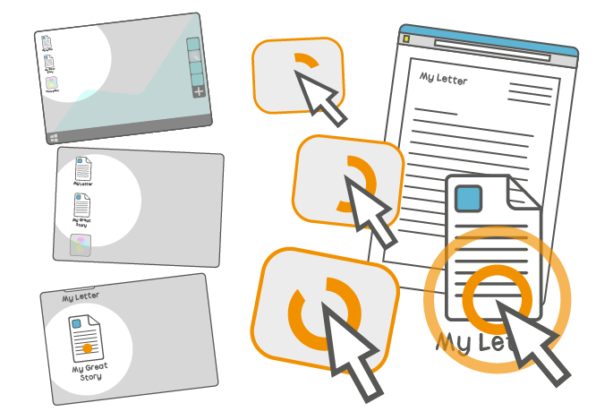 For popular devices there are included remote files. Vocal users can also use voice control to activate cells of their grids. 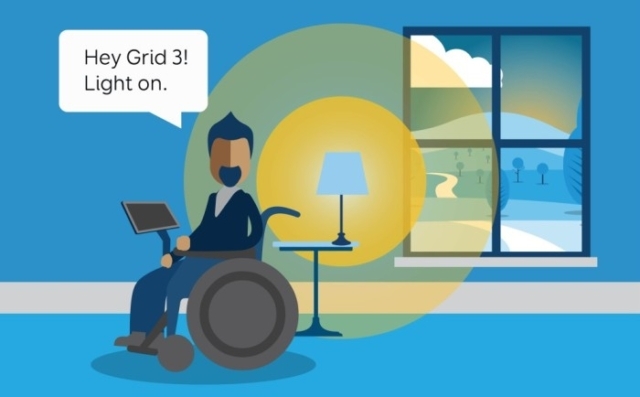 Computer Control in Grid 3 puts you in the driving seat, with all of the tools you need to access your computer using eye gaze, pointing devices or switch. Zoom to Click gives you unprecedented accuracy without compromising on speed. Simply choose the type of mouse click required, and then look at the area on screen where you want to make a selection. Dwell to Click options make access simple with head pointer, eye gaze and other accessories.